One of many inner courts of the Amber fort, Jaipur, Rajastan. 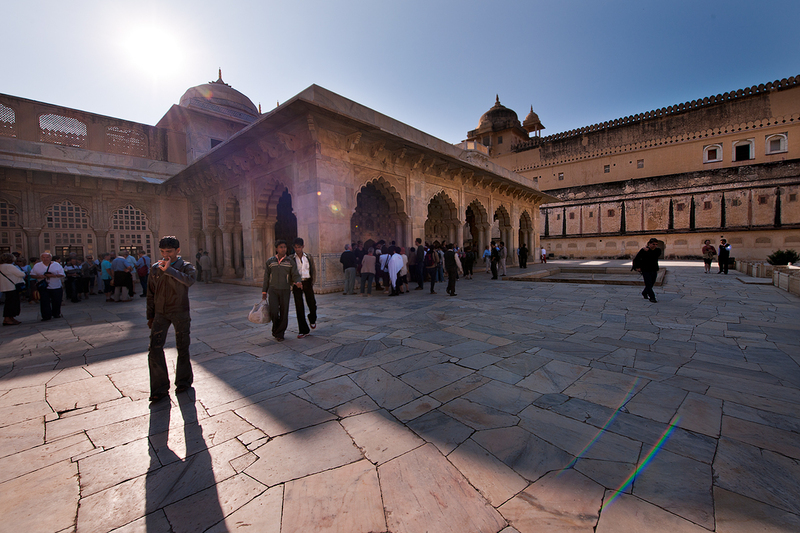 Built by Maharaja Man Singh in the 16th century, Amber Fort represents a blend between Hindu and Muslim architectures. The construction of the fort began in 1592 by Man Singh I but was completed by his successor Jai Singh I. It was originally the old fort of the Kachhwala clan of Amber.